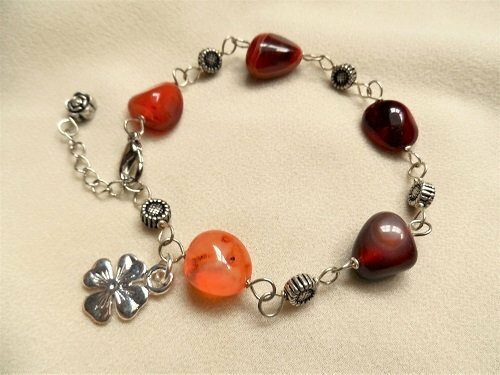 This striking Carnelian bracelet consists of rich russet-coloured carnelian gemstones and pretty metal flower beads, plus a little four-leaf Clover charm. A gift to wish success and good luck. Detail: The bracelet measures approx 7.5" long but has a 1.25" extender chain, so suitable for most wrist sizes. The perfect present to help a friend / loved-one achieve their goals. Comes gift-wrapped, like all our presents - and we can print a personal message on your behalf. Carnelian is a 'power' stone: It was believed by the Romans to shore up confidence and strength and increase physical energy - making it the ideal gift for Competitors . . for a big Match, Game, or Competition, and also for vitality on a Special Day. 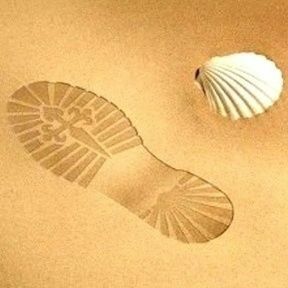 It is also associated with the star sign Scorpio. More information about Carnelian . .